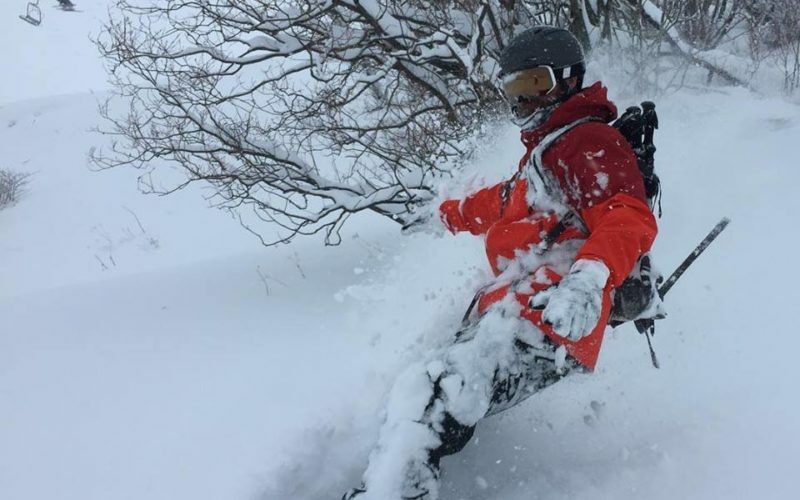 Good Ski Guide’s Keme Nzerem takes the fast-track for spring skiing in Japan. There’s something smugly satisfying about riding a run with no name. “Eventually you’ll come out near a dam. 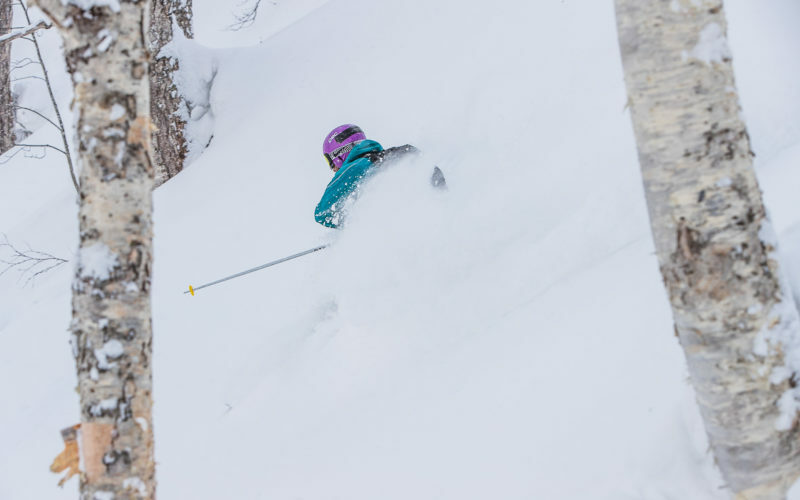 Keep going and it’ll bring you back to basecamp” reassures local guide - shredder Ayako Senda. 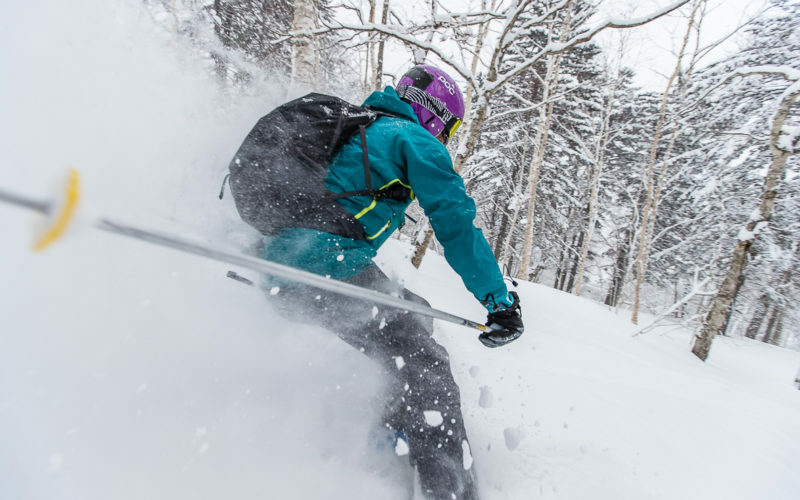 Aya, in Canada for a few season, is now back home as Japanese resorts brace for a big expansion in off-piste riding. 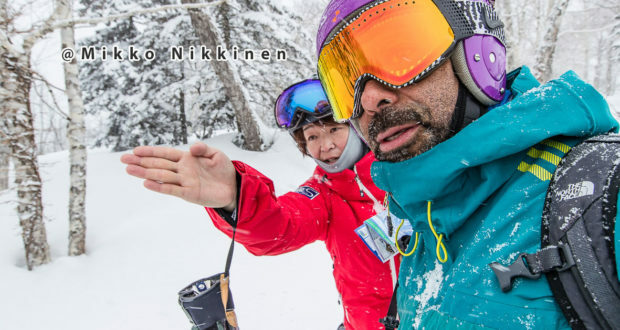 She directs us through one of the official sidecountry ‘gates’ at the top of Japan’s best kept ski secret - Furano, in central Hokkaido. 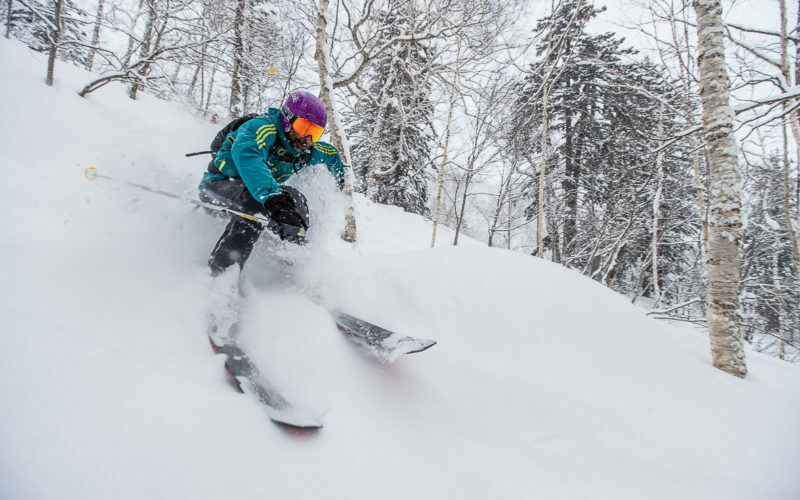 Japanese resorts are famously strict about straying from marked runs - duck a rope or ride an area that’s closed for safety and expect a swift ski patroller to seize your lift pass. 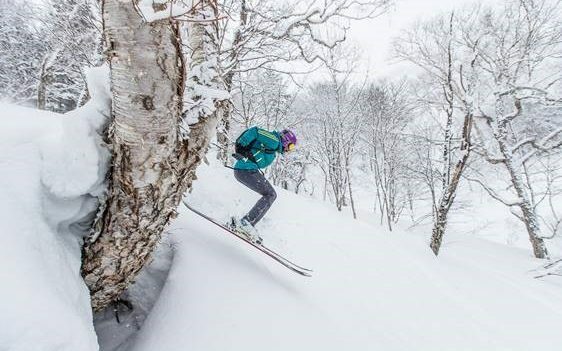 Furano, real off-piste terrain, recently put up access gates along the perimeter of its 23 pistes / 11 lift area. Furano is colder and drier than other Japanese ski areas, as it lies in a different mountain range in the middle of Hokkaido. Furano doesn’t quite get clobbered with the same relentless snowfall of more-famous southerly neighbour Niseko. But what does descend from the heavens is lighter and stays longer - as we gleefully discovered dropping into the steep wide glade on the way up to the 1200m summit. As we pause to catch our breath and enjoy the forest shapes we hear small streams emerging from a deep winter freeze. And spring skiing in Japan means when the snow laden mists occasionally part - our faces are briefly caressed by warm dappled sun. 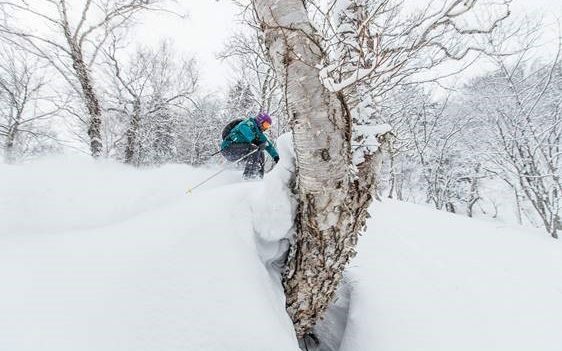 We were on a whistlestop tour so on to Niseko, the resort that catapulted “Japow” firmly onto the radar of powder hounds, and which has got busier over the years, with many foreign skiers being lured to explore more of Japan’s 500 plus ski resorts. More about Niseko later but a few days of Japan’s world class riding we discovered its legendary cuisine too. The perfect tonic to soothe tired ski legs? Chilled Japanese beer and home cooked food. Iizayaka Robata is tucked down an impossibly narrow alley in downtown Furano. This traditional Japanese pub is the size of a cozy living room but the welcome is as warm as the coal hearth or “Robata” that sits warming sake amid a horsehoe of sturdy benches. Overseas visitors provide a handy excuse for the regulars to order more rounds of the local grog, and proffer garrulous toasts. With the ebb and flow of new customers arrives more offerings from the tiny kitchen tucked away to the back. Freshly grilled mackerel, sizzling gyoza and full flavoured miso. I can’t resist making enquiries about the house special so we are watched with raucous anticipation as a savoury porridge containing what looks like huge rice shaped oats is delivered with much fanfare. It comes garnished with shallots, vinegar, and golden flakes of crispy fried garlic. We devour our mystery plate within seconds – much to the approval of the house who clearly enjoyed the sight of newcomers savouring the somewhat niche local fave. Visitors to Hokkaido are warned the food is so more-ish you can expect to put on a kilo for every week you stay. Just as well there’s all that ski-ing to help work off the extra calories. British skiers continually cross the Atlantic to the West Coast of North America in search of reliable snow and a unique ski experience. It’s now just as easy to head in the other direction to the West side of the Pacific - and Japan’s world famous Japow. Finnair will be the first European airline to launch a direct flight from Helsinki to Sapporo (best time 9 hours) so no longer than getting to the likes of Jackson Hole, Whistler, or Squaw Valley. Previous: £56,000 a week package trip to slopes!